We know you share our heartache for our friends and neighbors, especially those in Lake County, who are facing the most devastating of circumstances wrought by the fires. We also know you are eager to help and it is no surprise to our Community Foundation Sonoma County team by the outpouring of giving we are already witnessing because generosity is so much a part of our Sonoma County culture. The philanthropic response of giving of time and supplies has been extraordinarily swift. Those on the ground at the Calistoga fairgrounds have expressed their gratitude for all of the donations that they have received in less than 24 hours. What is now needed most is the resource of money so that organizations can provide the support to the victims of the fire now and through the long-term process of rebuilding. 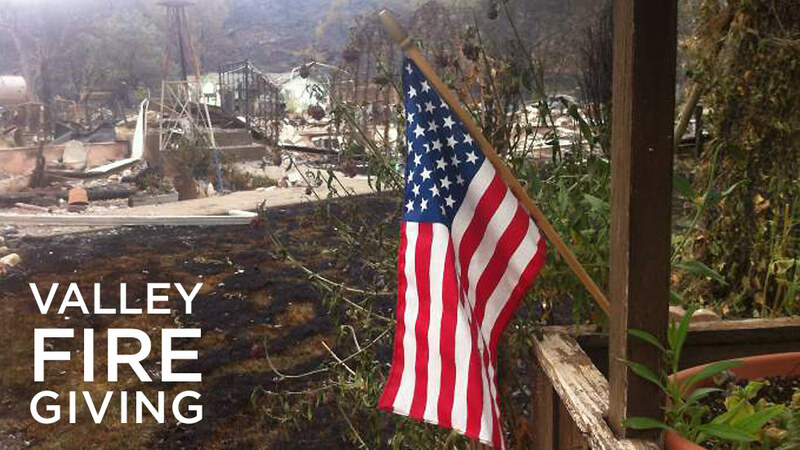 United Way of the Wine Country has established a Relief Fund for the Valley Fire. American Red Cross has opened two emergency shelters, one in Kelseyville and the other at the Calistoga Fairgrounds. Wine Country Animal Lovers is providing a variety of services for the animals they are receiving, including free veterinary care, food, vaccinations, microchips, and placing animals in nearby shelters. Miguel Ruelas, Director of Philanthropic Advising, (707) 303-9619. Kristin Nelson, Senior Philanthropic Advisor, (707) 303-9625. If you do not have a fund with the Community Foundation or would prefer to give directly, the organizations listed above are currently accepting online donations. Thank you for your commitment to our extended community.